While tight-fitting lycra skirts are all the rage, chiffon skirts still have their place - and some dancers feel more comfortable in something that doesn't cling to their curves. 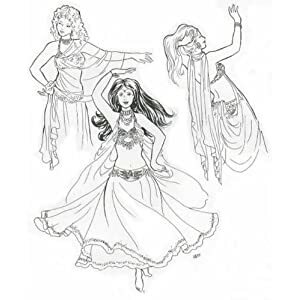 Belly dance pants are more practical for class, but some teachers like you to practice in the style of clothes you'll perform in. A chiffon skirt is a fairly simple pattern if you want to make your own - though personally, hemming yards of chiffon is my idea of a nightmare!